Quick and Accurate Read：LCD display shows accurate temperature results in seconds. 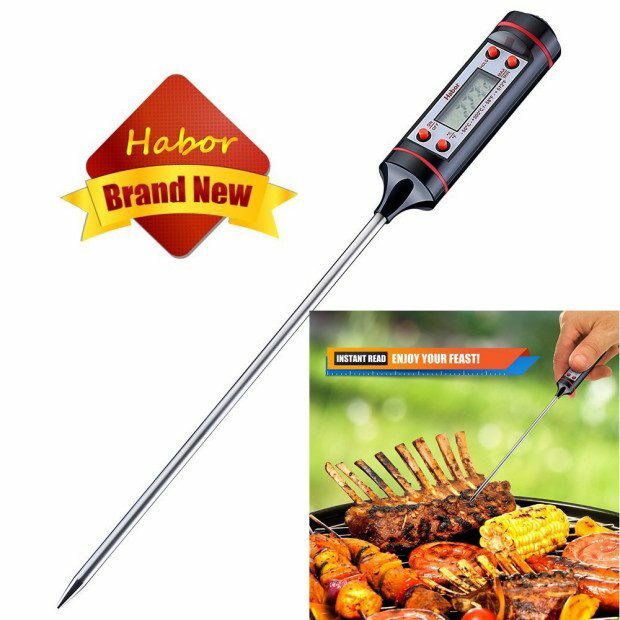 Long Probe : 5.9inch long probe keeps you from burning your hands while measuring. High Quality : Made of high quality 304 stainless steel and protected by a silicone cap, this thermometer is perfect for indoor or outdoor use.